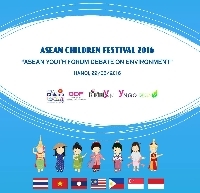 At 2p.m on 29th May, delegations of ASEAN young children have been present at Hong Ha Hotel, Ha Noi in order to attend the training for the official event “ASEAN Youth Debate about Environment Forum”. At this rehearsal, there were 3 teams representative for Young Leaders from ASEAN countries, teams of primary and secondary schools in Hanoi and one team from some organizations. Besides, the Board of Consultancy including many experts in the field of education, social activities and international debates was present so as to give some comments and advice to all teams participated. The preparation has been carried out carefully and thoroughly by YNGO – The Non-Governmental Organization for the Youth. 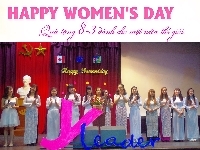 A number of volunteers from many universities in Hanoi have taken part in the logistic activities and helped the event come to success. Every participants are at the very young age, from 9 to 15, which is a special thing of this event. Despite of their ages, these children have been pleased to share their opinion as well as cooperate happily with the operator to make this event successful.